Morning Eucharist will be offered Monday-Friday, April 15-April 19 at 7:30am in the Chapel with homilies by parishioners focusing on themes of social justice, reconciliation, and vocational discernment. Jayan migrated to Minnesota (and the episcopal Church) after a winding journey from his native West Virginia, where he was raised in an independent Reformed church. His experience seeking recovery from trauma and addiction drives his ministry and has deeply shaped his theology of justice-through-healing. 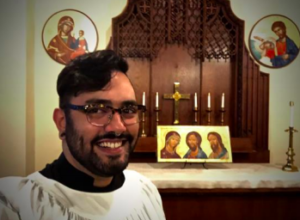 Since joining St. John’s in 2018 with his fiance Benjamin, Jayan has been primarily involved with young adult (20s/30s) ministry and the daily Office. He and Benjamin plan to be married here in October. Neil Elliott is an Episcopal priest, biblical scholar, and academic editor in biblical and theological studies. He lives with his wife Mary Ellen in Falcon Heights; they have attended St. John’s since 2013. Their adult sons are Jeremy, who works for a nonprofit in Los Angeles, and Austin, a geologist in Oxford, U.K.
Jamie Bents is a friend, partner, mama, activist, artist, and advocate, as well as a transportation planner and environmental consultant for the public sector. Her values focus on ethics, climate, social justice, community, pottery, and nature. Jamie and her family, husband Mike and sons Louie and Charlie, joined St. John’s in 2018. 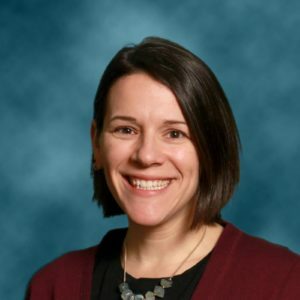 Being raised Jewish, Jamie came to Christianity in adulthood and the Episcopal Church when she joined St. John’s last year, finding it to be a fit with her family’s varied faith background and shared values. Jamie invites you for coffee and conversation about the systemic inequities built into our society that privilege a few and hold back most. Kevin Seitz-Paquette first came to St. John’s and the Episcopal Church in 2017 when he and his husband, Matt, were lookin gfor a spiritual home for their new family. They knew they had found that new home when so many members of the congregation attended their wedding to show love and support. They are happy to have found a place that affirms and celebrates their life together, and look forward to growing alongside St. John’s in the years to come. Dave Borton has been a member of St. John’s since 2015, having relocated to the Twin Cities in retirement with his wife Dee, to be close to their daughters and their families. Dave graduated from Trinity Lutheran Seminary but pursued a career in human resources within the healthcare industry. He has remained active in ministry in the church as a volunteer. At St. John’s, he was one of the coordinators behind our partnership with Minnesota Council of Churches in our refugee resettlement work and sponsoring the Bushiri family in 2016. He has also been a steady presence in our food ministry with Hallie Q. Brown, active in our growing ISAIAH work, and a dedicated leader in our Community of Hope International lay pastoral care team. Dave brings a passion for social justice to church. He is recently returned with other pilgrims at St. John’s from the Jerusalem pilgrimage.